The time is here. Marathon Monday. 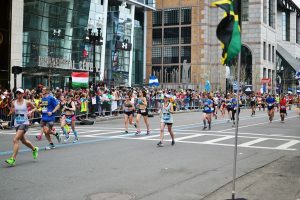 Roughly one million spectators gather along the route of the Boston Marathon each year to witness all types of competitors. Elite runners, handcyclists, veterans and first-time participants gather to race. Volunteers join together to assemble welcome packs for all runners, set up first aid stations and prepare for a long day of treating aching muscles and burning feet. Families and friends alike cheer for runners and scream extra loud when someone they know is passing by. Eager children push toward the front of the crowds to see their mom or dad run the race; loved ones even feel empowered enough to choose the finish line as the site of their marriage proposal. The Boston Marathon nonetheless is an event packed full of emotion and integrity. The day is most commonly known to many Boston area college students as “MarMon,” a time full of day-drinking and shenanigans. While some start their days off at parties, a good majority actually make it down to the marathon. Witnessing the Boston Marathon is a complete and utter humbling experience. Crowds gather for one common goal, to cheer on all participants for a worthwhile experience. As a student in Boston, there are several things that are pretty much obligatory of your time spent in the city. You go to a Boston Red Sox game, attend the St. Patrick’s Day Parade, get a cannoli from Mike’s Pastry and lastly celebrate Marathon Monday. 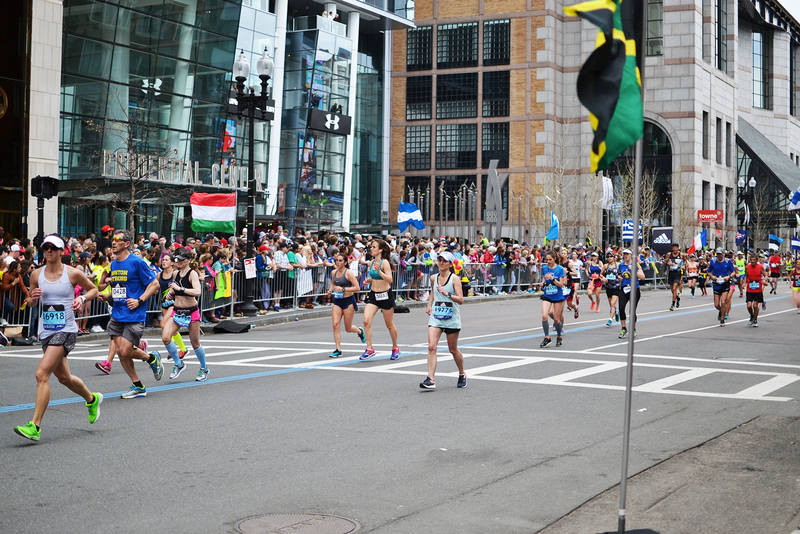 Of all of these events, Marathon Monday is probably one of the most rewarding and worthwhile. As a student, you have a choice to make each year: you can either go to Allston or go witness history. You may have even chosen both, and hopefully you did. It’s an experience that will give you such a happy feeling. It’s almost a guarantee that when you ask your friends what they did on Monday, their response will have to do with Marathon Monday. As a first-time spectator last year, I was a bit overwhelmed by everything that was happening, in a good way. I felt extremely happy and proud of the city. Participants from a myriad of backgrounds came to cross the finish line and support many causes. Fans cheered for hours on end, pushing those participants through their leg cramps so that they can finish. Boston Police lined the route to protect the security and honor of the race. Everyone joined together to celebrate and witness this annual event together. The entire day is devoted to this distinguished event. Even if you don’t know someone in the marathon, you still go. This is the city we live in, full of passion, pride and power. Even if every person who runs past you is a stranger, somehow you will feel inspired. It’s just in the nature of the event. For some it may be a competition, for many it’s a matter of achieving a personal goal. Whether they’re trying to prove something to themselves or the city, they do it with a smile on their face. When the exhaustion takes over, fellow runners lend a helping hand and the crowd offers their voice in leading the runner to finish strong. All in all, the Boston Marathon is an experience that has the ability to change anyone’s life, whether by participating in it or witnessing it.